For the 25FS history, see the details listed on Page 1. 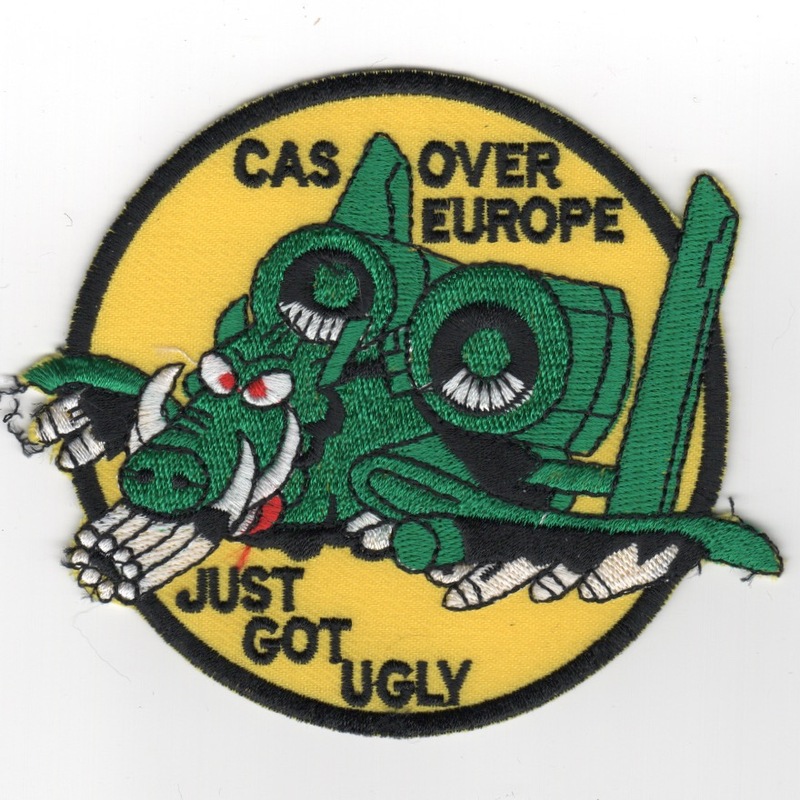 This is the yellow version of the 25FS patch that says "CAS OVER EUROPE JUST GOT UGLY", referencing that the Warthog is "ugly". This patch was found in a Korean embroidery shop in VERY limited quantities and does not come with velcro attached. For the 25FS history, see the details listed on Page 1. 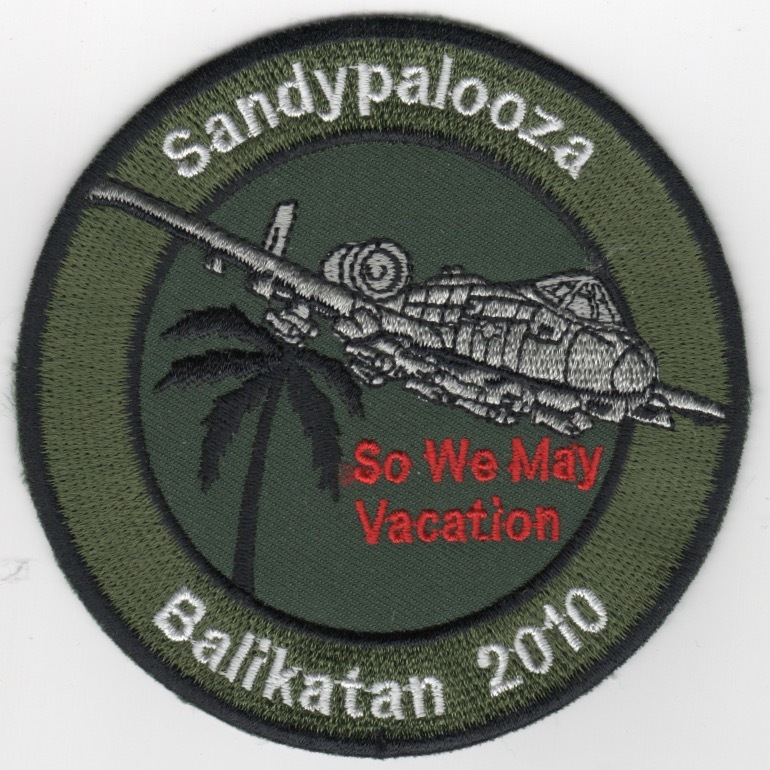 This is the subdued/OCP version of the 25FS patch that says "SANDYPALOOZA" (top), "BALIKATAN 2010" (bottom) and "SO WE MAY VACATION" in red in the middle. This patch was found in a Korean embroidery shop in VERY limited quantities and does not come with velcro attached. For the 25FS history, see the details listed on Page 1. 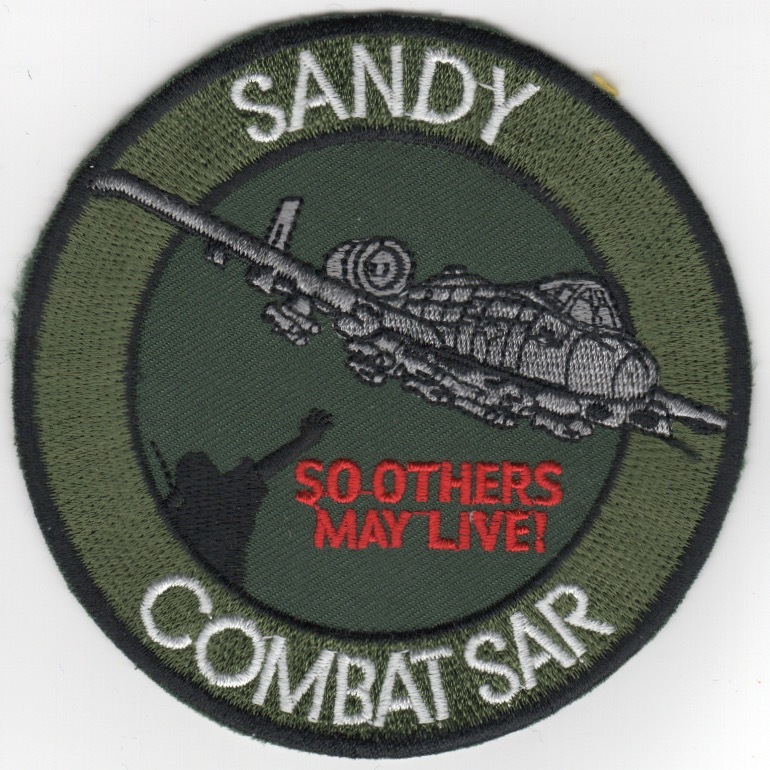 This is the subdued/OCP version of the 25FS patch that says "SANDY" (top), "COMBAT SAR" (bottom) and "SO OTHERS MAY LIVE!" in red in the middle. This patch was found in a Korean embroidery shop in VERY limited quantities and does not come with velcro attached. For the 25FS history, see the details listed on Page 1. 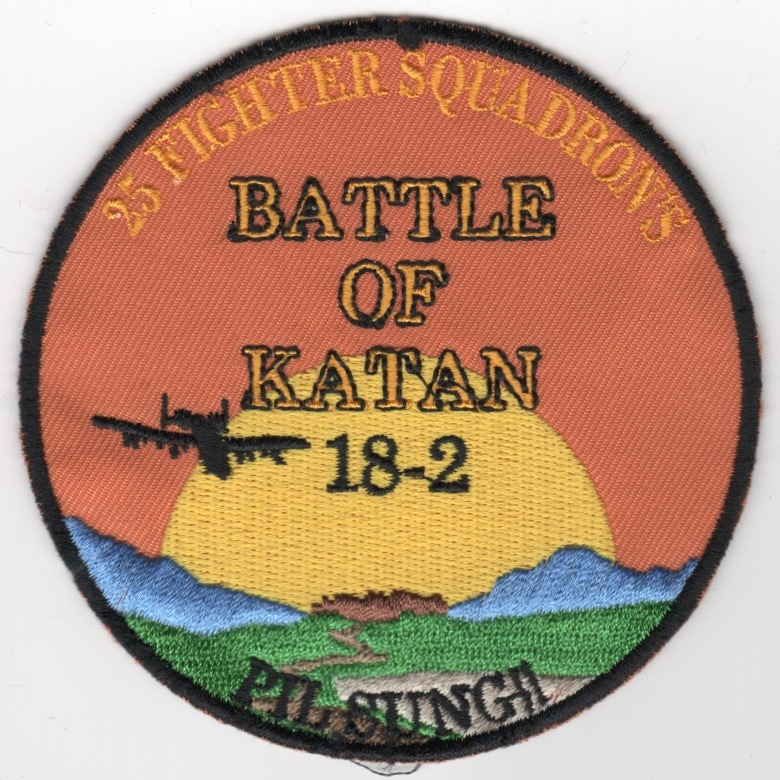 This is the 'BATTLE OF KATAN 18-2' patch that says "PILSUNG!!" which was created for their participation in the annual exercise. This patch was found in a Korean embroidery shop in VERY limited quantities and does not come with velcro attached. Picked up in Korea: This is the 25th Fighter Squadron 'ASSIM DRAGGINS 'Challenge Coin' with the Squadron logo on the front (seen) and "BAD TO THE BONE" on the back (below). Picked up in Korea: This is the 25th Fighter Squadron 'ASSIM DRAGGINS 'Challenge Coin' with the Squadron logo on the front (above) and "BAD TO THE BONE" on the back (seen). 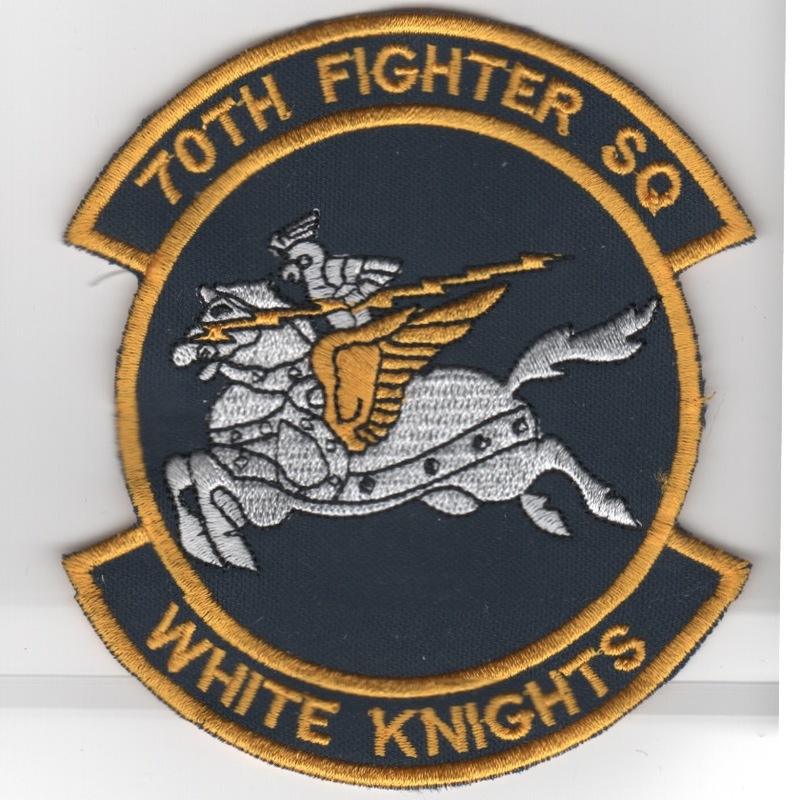 (Korean): The 70FS is an inactive United States Air Force squadron. The Squadron was constituted on 14 Dec 1940 as the 70th Pursuit Squadron (Interceptor). This squadron was activated on 1 Jan 1941 and patrolled the airspace around Fiji. After the war, the squadron was declared inactivated on 26 Dec 1945. The 70TFS was reinstated on 8 Sep 1975 and renamed the 70th Fighter Squadron until retired on 1 Nov 1991. It was most recently reactivated and became part of the 347th Wing at Moody Air Force Base, GA. It operated Fairchild Republic A-10 Thunderbolt II aircraft conducting ground attack missions. This patch was found in a Korean embroidery shop in very limited quantities, has the "in-theater-made" feel to it, and does not come with velcro attached.